JVC KD-BT22 has built in bluetooth capability so you can enjoy the safety and convenience of hands-free calling and music streaming. When a call comes in, press a button to mute the music and speak to your caller, without touching your mobile phone. Music streaming lets you play the music from any Bluetooth audio device through the JVC KD-BT22. The beautifully styled JVC KD-BT22 head unit offers the best of all worlds. 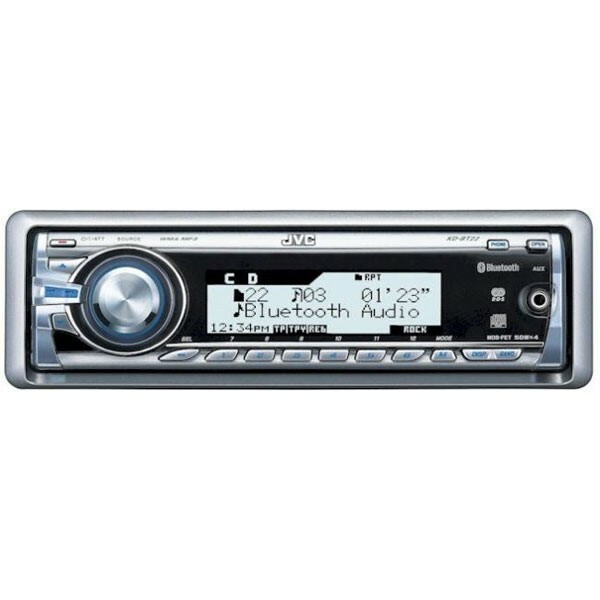 It plays CD, WAV, MP3, WMA and AAC files, has a front AUX input and USB with iPod connection for ultimate flexibility. 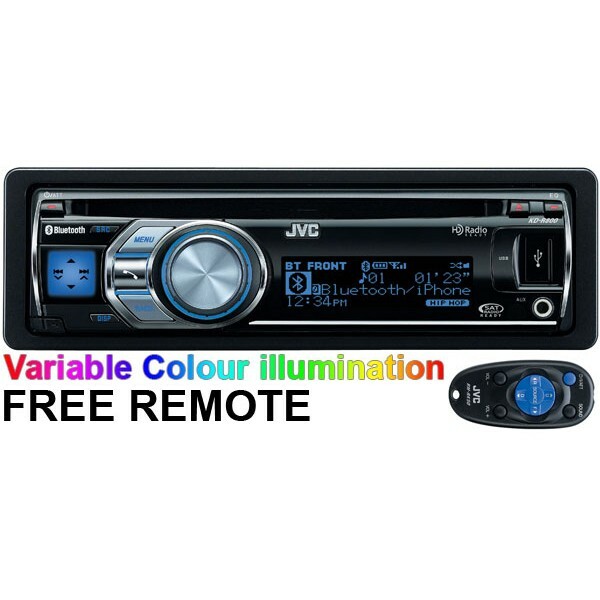 You can also add an optional adaptor to the JVC KD-BT22 so you can enjoy DAB radio reception or add a CD Changer. The JVC KD-BT22 provides you with a palette of over 1,700 colours for its striking display. Music and system information is clear at a glance, with two lines of text for accurate browsing. The easy to use controls and large control knob make it simple to adjust your system while you drive.